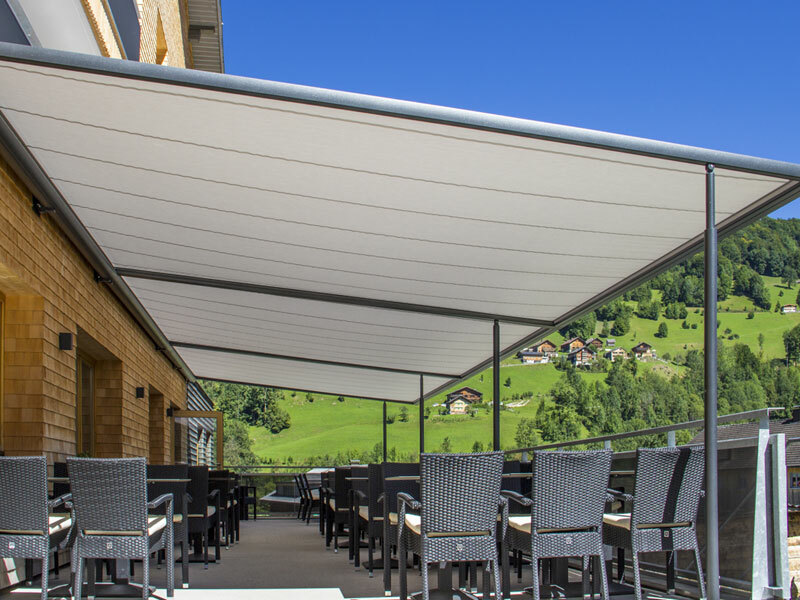 The Markilux Pergola 110 and 210 and Plaza Pro retractable fabric roof systems are a superb shading product enabling extra space for business at the simple push of a button – a room outdoors! It is perfect for all commercial applications where nearly all year round use is required for larger outdoor areas. 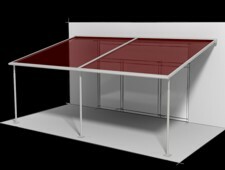 What is a Markilux Pergola? 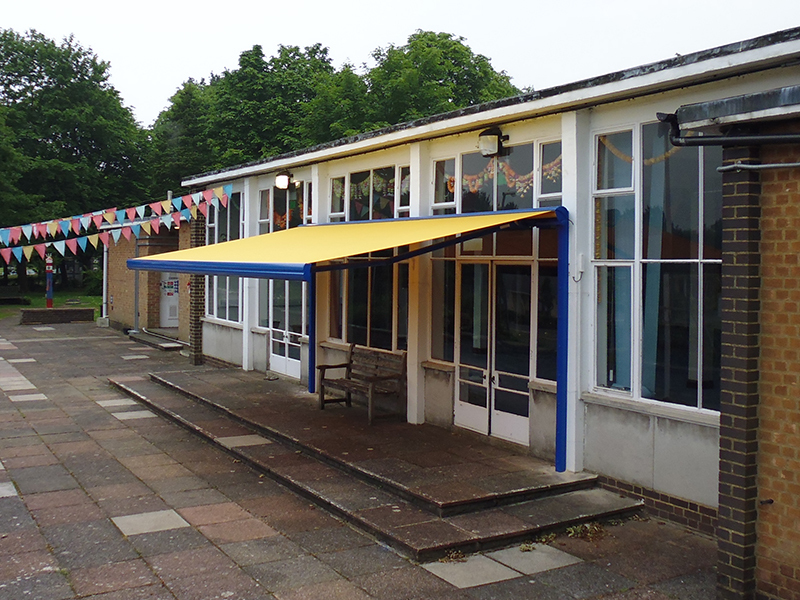 A Pergola is a fully retractable fabric roof awning with a permanent fixed high quality aluminium structure to offer additional support for the fabric cover and allow it to offer overhead protection as well as vertical protection. 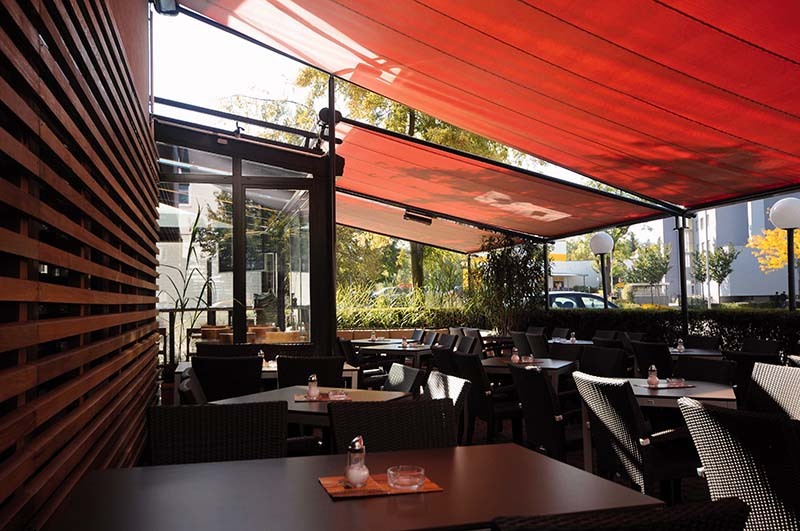 It is high quality cover fabric guided by a track system allowing it to project much further than a normal retractable awning – extensions of up to 6m are possible. The fabric rolls away neatly when not in use into a stylish aluminium fully covered cassette and protects the fabric during the winter months when not in use. 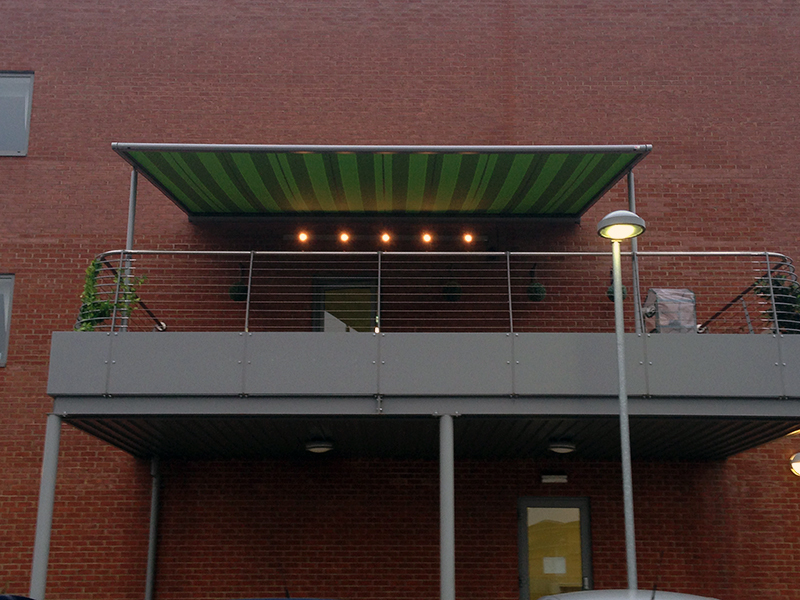 Why is it Better than an Awning? 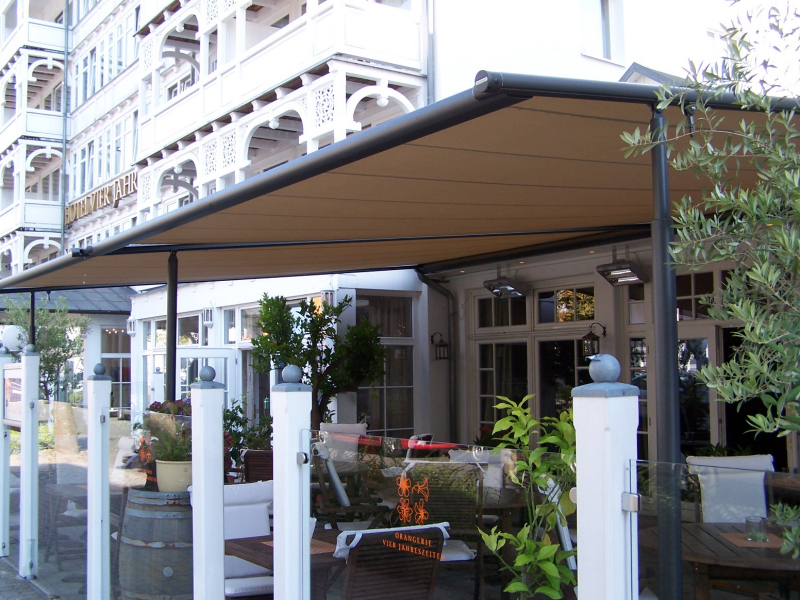 This system is better than a normal retractable awning because it has a higher wind rating which is one of the most restricting factors for a self supporting traditional fabric awning. 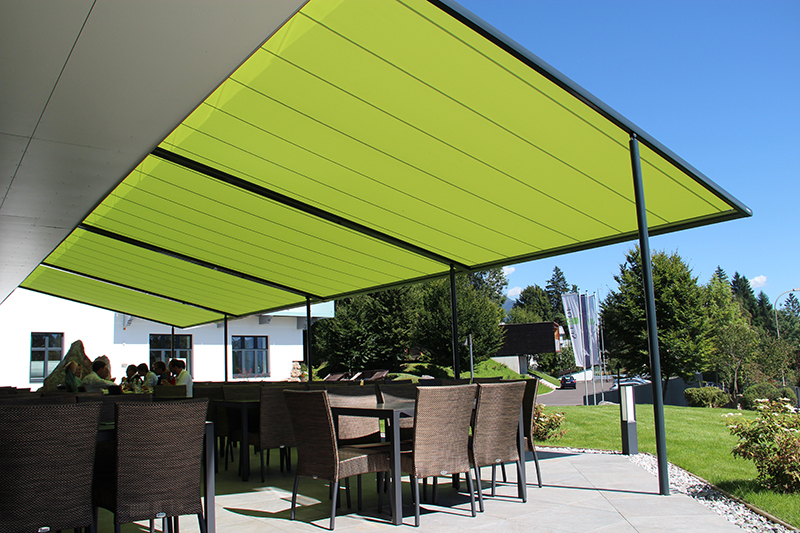 The fabric on this Pergola system is drawn our from the cassette under tension by the front leading edge aluminium profile and in the 210 model the fabric is also ‘zipped’ into the side channels to provide tension across the width which is not possible on e traditional awning. 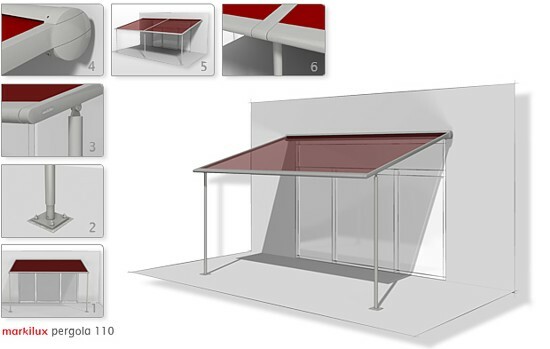 Also not using the ‘knuckle arm’ principal this Pergola can project further – up to 6 metres. Listed below are prices for a single unit system, please contact us directly for larger coupled unit price information. These prices include electric operation with a hard-wired motor and switch. Also included is a choice from a selection of Markilux fabrics (sunsilk range, sunvas range and more), standard frame colour choices, and posts for installation onto a suitable foundation. Wall brackets are also supplied for face-fitting the cassette onto a suitable wall at the rear. For accessories and optional extras, please contact us directly. These prices do not include VAT, and are correct as of Summer 2017. 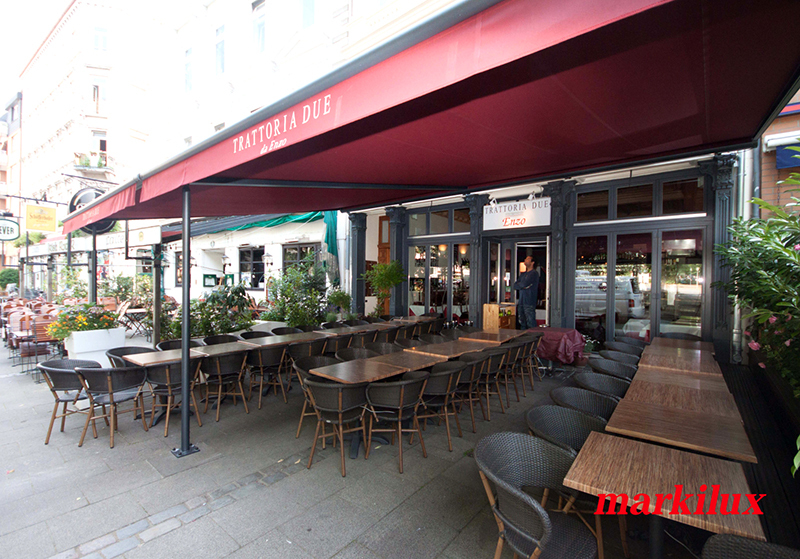 The Markilux Pergola is a simple yet effective weather protection system designed to shelter your customers and create a warm and inviting atmosphere to relax under. 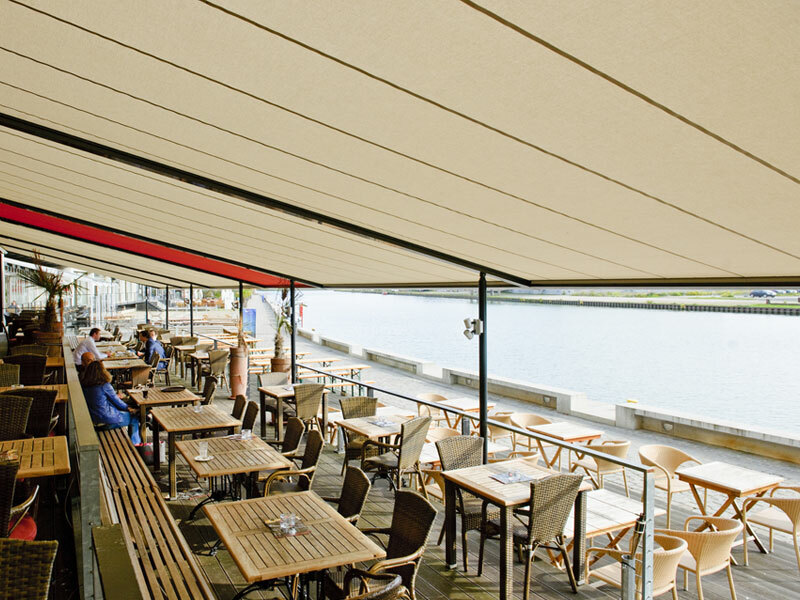 When underneath the shelter of a Samson Awnings installed Pergola, a lively atmosphere is created by the bright & powerful range of awning covers available combined with the large areas of open space protected from various weather elements. 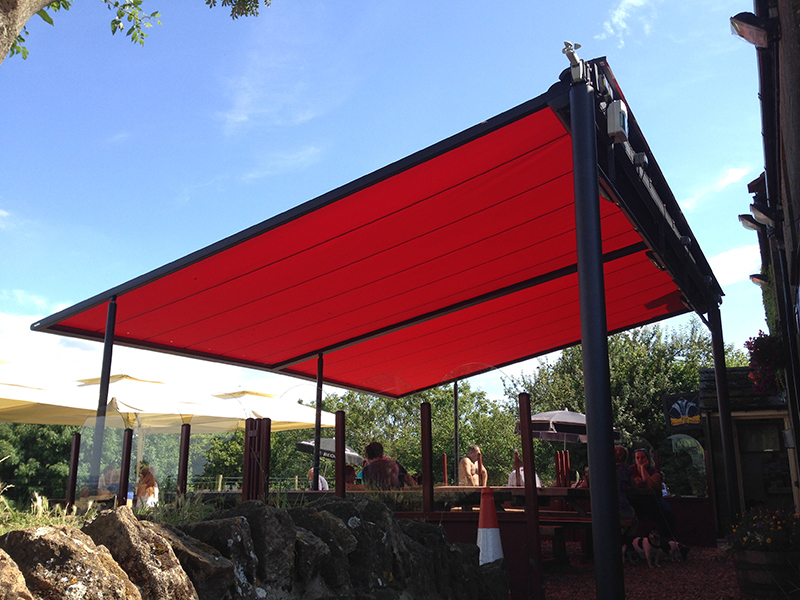 It allows you to take full advantage of the natural outdoors for commercial purposes by allowing customers to sit outside protected from intense sunshine or drizzly rain in the summer. 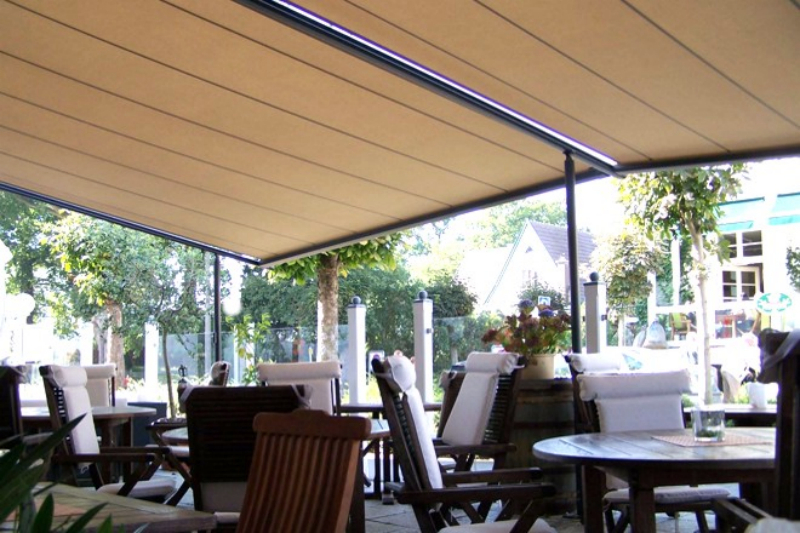 The Pergola is not just a summer sun-shading awning – it can cope with many weather conditions no matter what time of year. 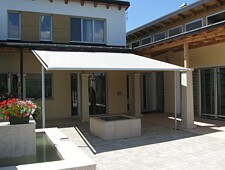 The Pergola also allows you to ignore the very changeable weather in the UK and can be uniquely adjusted. 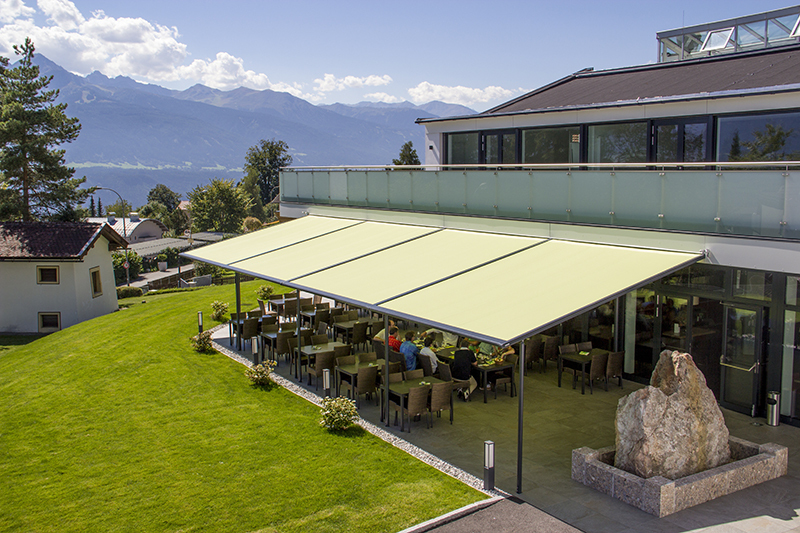 It can be left fully open to enjoy sunny days, semi-closed in strong intense sunlight when sun shading is required and fully closed in the winter. Every system is electrically operated for ease of use with various control methods. Side screens and glazing units are available on request to turn your exterior sun shading system into a conservatory-style room. Commercial Pergola terrace covers can be combined with heating and lighting systems to allow full use of your terrace during the late evenings or when the chill of the cold winter hits. Heating & lighting can help create a real party feel under this flexible structure and allow events to continue long into the night. Branding and Logo placement can help promote, advertise and drum up extra business for your company. Commercial Pergolas can be designed to have eye-catching writing printed onto the material to give your business additional visual coverage and grab your customers attention as they are passing by. 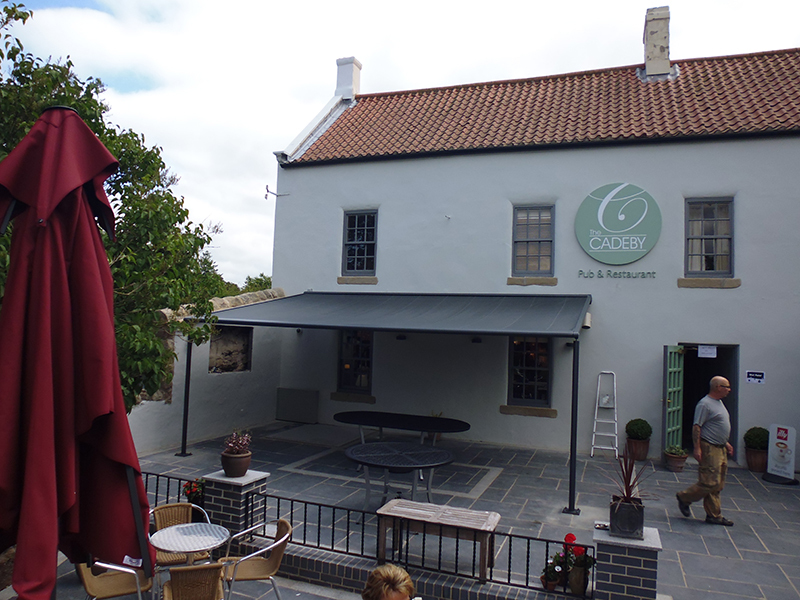 A Pergola terrace cover can provide a fantastic outdoor area for customers to enjoy. 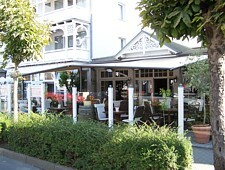 They can play host to a variety of different uses including dining areas, public drinking spaces, smoking areas, shaded walkways, indoor markets, exterior relaxation areas and more.